Why drink green beer when you can drink wine? 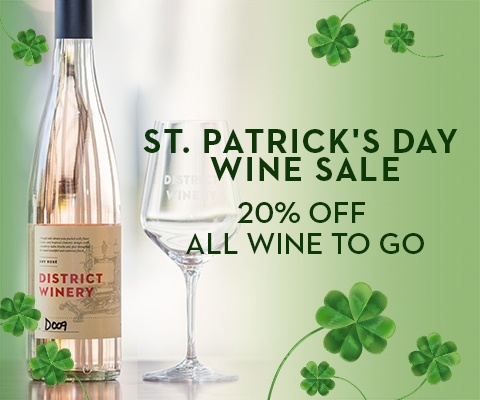 Save 20% on all bottles to go now through St. Patrick’s Day. Although we like a good pint from time to time, we’re partial to wine. So we’re helping all the wine drinkers survive St. Paddy’s Day with a weekend flash sale!